Brexit is a tragedy which is rapidly turning to farce. The sight of the Prime Minister desperately clinging to power, while assailed on all sides – mainly by those in her own party – shows that whatever happens now, this is a leader and a government who have lost all moral and political authority. But the fact that Theresa May’s proposed deal already appears dead in the water as a result of the events of recent days should also encourage those of us who have long argued for a different, better way out of the impasse. The numbers for the Prime Minister simply do not appear to stack up. Yes, much could happen between now and any parliamentary vote on the deal, but a cursory glance at the Commons benches makes it difficult to see how even the most optimistic view from Number 10 could see a majority emerging for the plan. Indeed, as things stand it is far from clear whether the agreement as currently drafted will even make it as far as a parliamentary vote. Before that even happens of course, there is the scheduled summit of European Union leaders which has been pencilled in for a week today (Sunday). What those heads of government – and indeed the rest of the public across the whole of Europe – must make of the near implosion of the Tory government is anyone’s guess. But it’s a safe bet that other EU leaders will be thinking long and hard about whether it is worth their time to drop everything and rearrange their own busy schedules to fly to Brussels for a special summit when the member state at the centre of it all seems determined to shoot it down before it even reaches Brussels for discussion. One of the things which has been repeated by some in and around Westminster in recent days is that there is no alternative to the PM’s plan. That is simply not true. The Scottish Government has long advocated continued, permanent membership of the single market and customs union for the whole of the UK. That is an outcome that could well command a majority of support in the House of Commons and it must now be seriously considered. The Scottish Government has long advocated continued, permanent membership of the single market and customs union for the whole of the UK. Another positive amid the chaos is that the Prime Minister’s authority is now so diminished that she will find it increasingly hard to present this as a choice between her bad deal and no deal. That has always been an utterly false choice, but the closer that the possibility of a no deal looms, along with all of the disastrous economic and social consequences that would flow from it, the more it seems that others are prepared to join us in pushing back against that false choice. Rejecting the deal on offer does not mean that there is no alternative – businesses and others across Scotland and beyond need to know that. They are rightly concerned about what the future holds, but they should be reassured that there is a workable, better alternative to the proposal currently on the table. 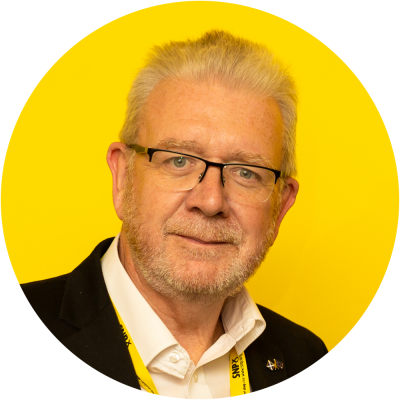 The SNP’s 35-strong group at Westminster are the third biggest bloc in the Commons and they will continue to work strongly for a more sensible outcome. A rejection of the current deal in any meaningful vote could see alternative proposals, including continued customs union and single market membership, put forward – and any vote could also require the UK Government to consult properly with the opposition and the devolved governments. An extension of the Article 50 process could also be on the cards as a way of allowing better proposals time to be worked out. And a Commons motion could also be used to specifically and explicitly rule out the no-deal outcome for which there is clearly no majority. We will also continue to make the case that if it is possible for Northern Ireland to get a special deal which keeps its more closely bound to the single market – and we support moves that uphold the good Friday Agreement – then differentiated status must also be possible for Scotland. Whatever happens, we must not be left at a competitive disadvantage when it comes to jobs, investment and economic opportunity. Theresa May’s rhetoric of recent days, in which she has very deliberately and for the first time invoked the possibility of “no Brexit” is deeply telling. It shows that she knows there is now a real possibility that the monumental folly the Tories have dragged us towards could yet be halted, and we have made clear we would back any “People’s Vote” in the Commons. Brexit threatens countless jobs, livelihoods and opportunities, especially for our younger generation. It is our duty to do all we can to limit and, if possible, eliminate that threat. This article originally appeared in the Sunday National on 18/11/2018.